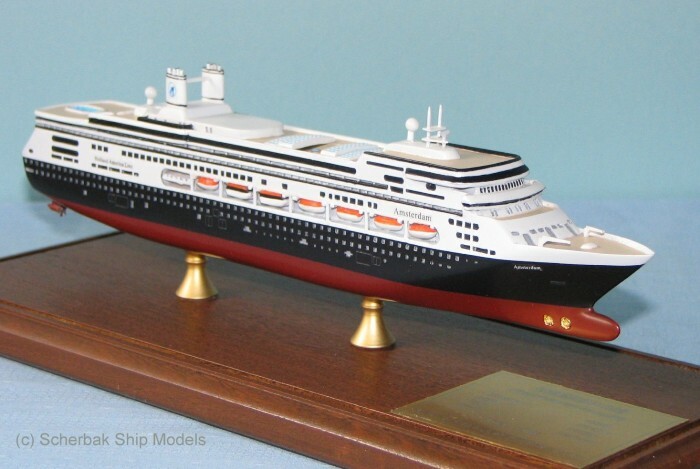 Beautiful cruise ship model made of resin, hand assembled, hand painted. 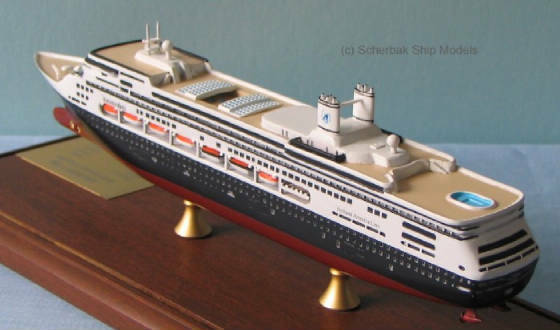 Details include recessed windows and balconies, solid brass propellers! Comes in display case with wooden base on protective pads, solid brass mountings, solid brass name/data plaque and clear cover. Size: model - 10 2/8", case - 11 3/4". $... to other countries .